The three-year digital art conservation project (2010-2012) was dedicated to researching strategies for the conservation of digital art. The project focus lay on artworks created with computer programming and digital technologies. The project was initiated at the ZKM | Center for Art and Media Karlsruhe, and was carried out in collaboration with five other institutions from the Upper Rhine region. 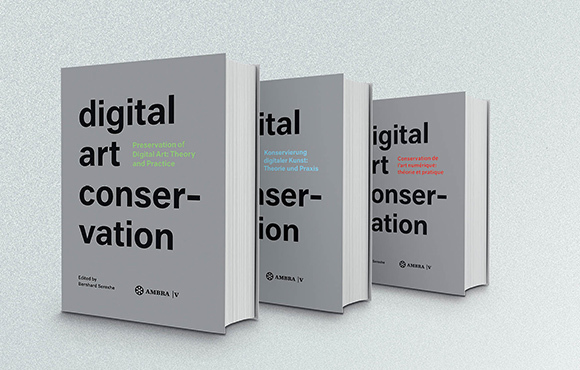 In the course of the project, issues revolving around the conservation of digital art were analyzed both from a theoretical and a practical perspective. Furthermore, concrete strategies for the conservation of a broad spectrum of digital works of art were tested and critically evaluated by way of the exemplary treatment of ten works from regional collections. An extensive publication in three different language editions (German, English and French) comprehensively documents the project's activities, and presents the results of the case studies. The digital art conservation project was co-financed by the EU program INTERREG IV Oberrhein.